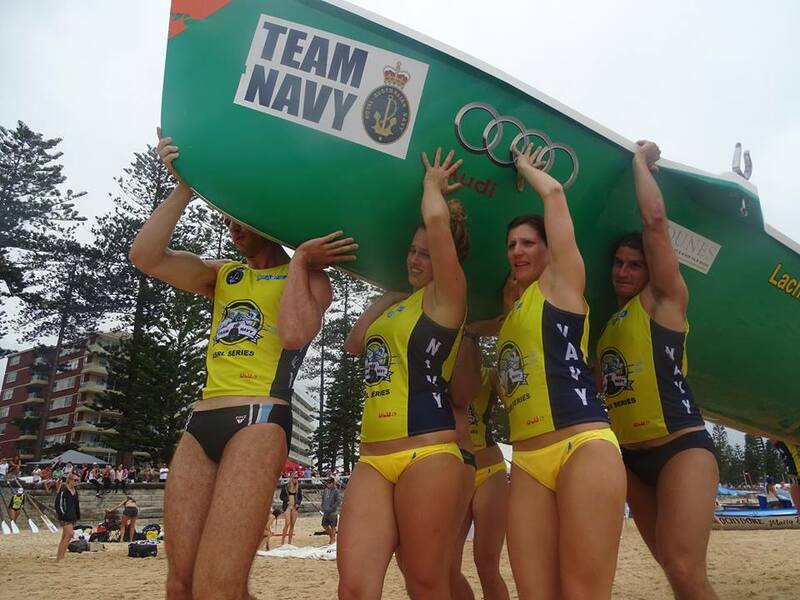 2016 NSW Surf Boat Interstate Team representatives at the Team Navy ASRL Open in Shellharbour, NSW: from 19-21 February 2016. 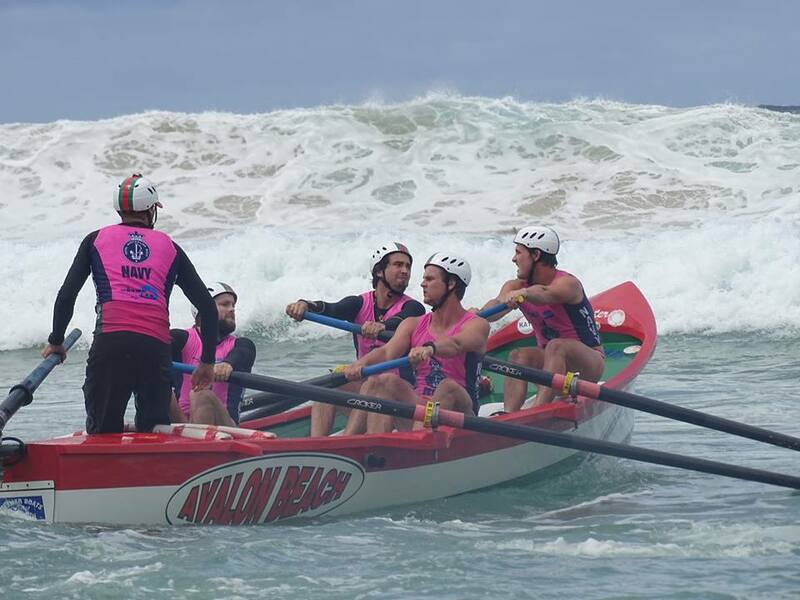 On Friday Surf Life Saving New South Wales announced the 2016 Surf Boat Interstate Crews, stating, " Congratulations to the crews selected in the NSW Surfboat Interstate Team to compete on Friday 19 February at Shellharbour, NSW. 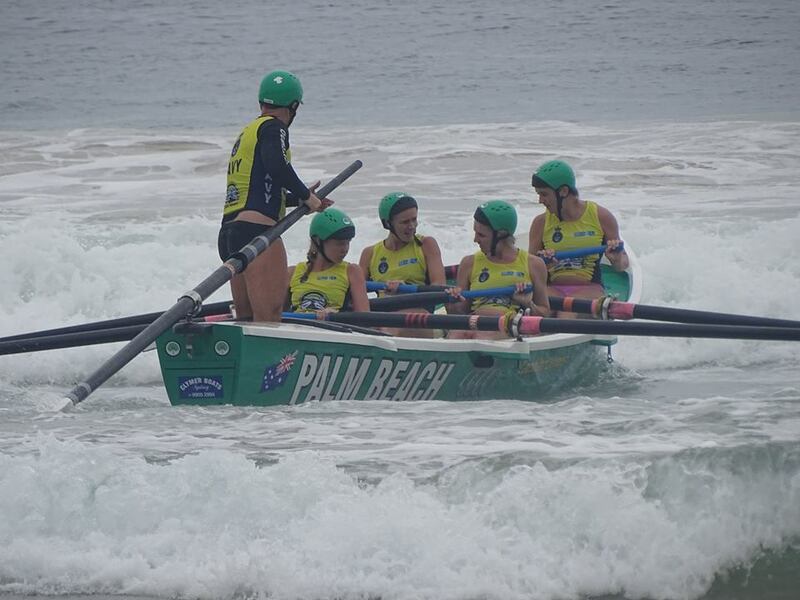 Big surf at Manly Carnival last weekend was the final decider for crews, with the Palmy Army claiming rep rights in all but two divisions. Palm Beach SLSC sweep Peter Spence will be a busy boy at Shellharbour on 19 February!" Pittwater surf clubs surf boat teams comprise five of the six teams selected, with North Cronulla SLSC's Under 19's, the Purdies, winning the sixth spot. 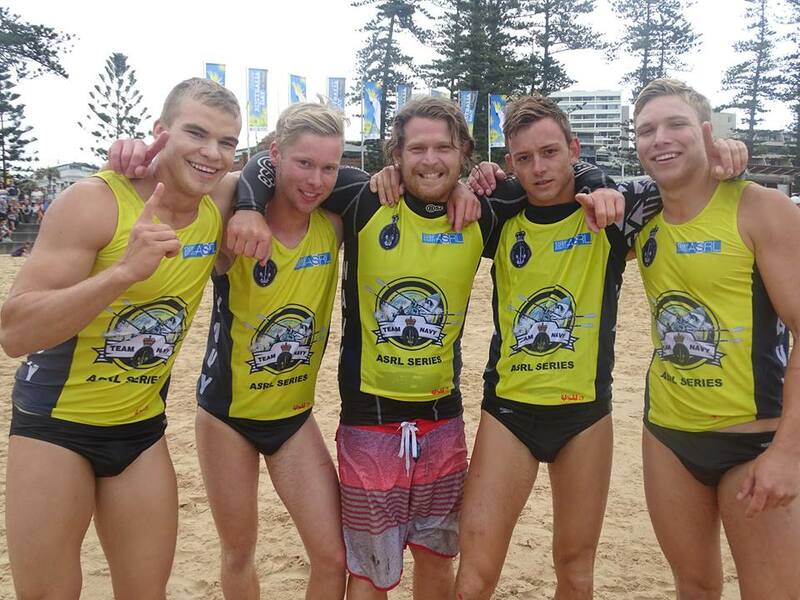 From Pittwater the Avalon Beach SLSC Pinkies will be State Representatives in the Men's Under 23's while Palm Beach SLSC's Under 23 Women, the Pumas, Reserves, the Projects, Open Mens Pidgeons and Open Womens Patriots will be heading north in a few weeks time for the 2016 Interstate Surf Boat races. We spoke to Peter Spence, Boat Captain at Palm Beach SLSC on Friday afternoon regarding the official announcement. Yes, it’s a huge achievement for one club to have four of the six crews to get to represent New South Wales. It’s was a goal of ours to get plenty of crews ready at the beginning of this year but you dream about having four in there, so to actually achieve this is certainly something we hoped for but didn’t expect. We’re very happy with this and it’s well deserved by all crews. Who will be sweeping these four crews? Three of them are my crews, so I have the Reserve Grade Projects, the Open Men Pidgeons and the Open Women’s Patriots and then Stephen Cox is sweeping for the Pumas. For the Pidgeons it’s actually their third year in the State team now, but for the Patriots and the Projects and three of the Pumas crew it’s their first time ever in the State Teams so it’s very exciting. The Open Men were the State Representatives last year, so this is back to back for them. Two years ago James Rally was stroke in the under 23’s boys State team and Kurt, Tom Webster and Olly Archibald were in the Reserves Grade State Team. So they went from Reserves Grade one year to the Open Men. All of them haven’t lost a State race yet which is good – so they’ve won their individual races and the Relay each time they’ve raced. Matty Giblin’s been out this season, on the beach still helping out with starts for the races, but he injured his shoulder and couldn’t sweep? Yes, he called me around six weeks before the season started, in August. He’d been training his Open Women’s crew the Patriots and had injured his shoulder, badly. He asked me to take his girl’s crew for the season. I happily took them on. They’re a great bunch of girls and it’s a pleasure to sweep them. They’ve had some great results this year and I’m really stoked for them that they’ve made a State Team because they deserve it, they’ve had a tough couple of seasons where they probably haven’t quite achieved some of the results they would have hoped to through various circumstances of surf and conditions but they’ve worked hard and have a reward to show for it this year. Losing Matty was hard for us. He’s probably going to have the rest of this season off and get his shoulder right, but he’s a big part of our club and a big part of our boat section at Palm Beach and we hope to have him back next season. What will the crews be doing in the lead up to Shellharbour? We have a pretty big lead up for the Pidgeons and the Projects. We have Round Four of the Ocean Thunder at Dee Why next week so we’ll be racing in there. Obviously three weeks of solid training which we would be doing whether we were in the States or not. We then have the Branch Championships at Palm Beach the following week, so we obviously want to do well on our home beach at the Branch events. The following Friday the Interstates commence. 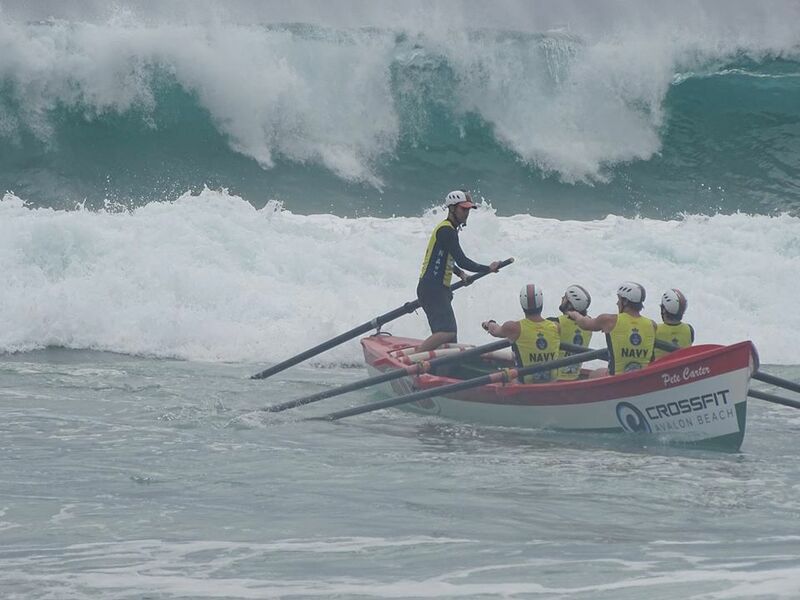 There is a big event as part of that weekend of the Interstates that we’re also racing in, the Australian Surf Rowers League Open which, besides the Nationals, is definitely the second strongest surf boat event for the season as everyone from around the country is represented in it. It’s a prestigious event and to actually do well in that carnival is the aim of every surf boat crew. So we’ll be aiming to do our best there as well at Shellharbour. So Palmy’s having a pretty good Summer so far, a huge Summer in fact? Yes, so far. We’ve had a pretty good 10 years. We had three teams in the State crews two seasons ago and my one crew last year and four this year which is the best ever, but every year you think how are we going to outdo that this year because even last year and the year before and the year before that we had amazing results, even at local carnivals. We’ve just got some good crews and good kids down there and are sort of riding a wave at the moment, no pun intended. This success comes and goes though, you only have to have a couple of rowers retire or decide not to row and we’d be down a peg or two. Certainly with the Sweeps we have at Palmy we hope to remain competitive for many years to come yet. Manly last Saturday (23.1.2016) looked pretty challenging with some crews getting swallowed by waves and Officials rightly calling off some Grades for Safety reasons due to the conditions. The Open Men’s and Women’s went ahead though - how did you find that? Yes, it was big. 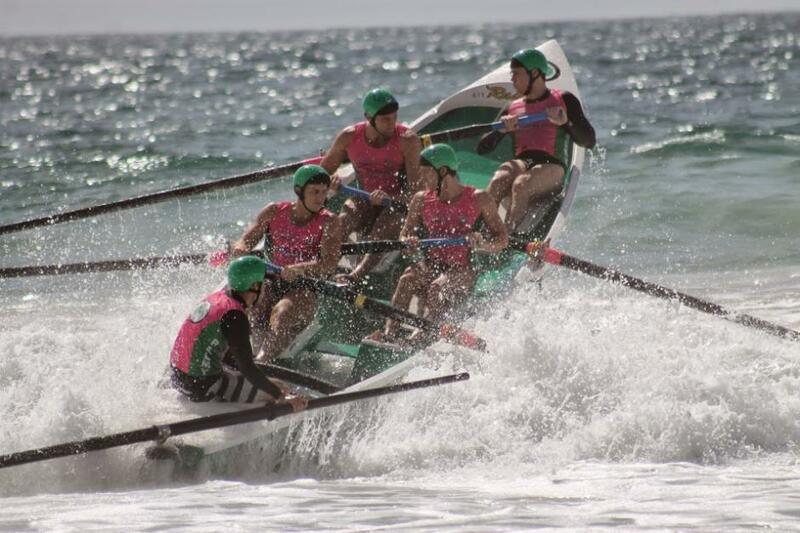 The Open Men did really well, getting 2nd on the Manly Carnival Final on the Saturday, which was a great result in the conditions – the week before we won Queenscliff, so they’ve had a good couple of weeks. 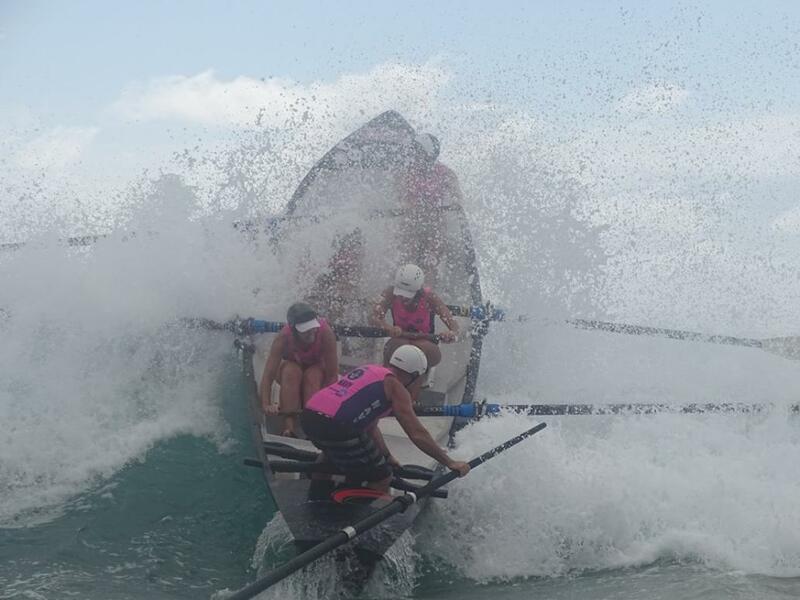 In the Open Women’s unfortunately we did come a cropper – we thought there was an opening on the way out, I called the girls to go, a wave popped up and we backshot and rolled and lost our stroke Verity out the boat, she got injured and had to go off to hospital. She’s been out of the boat this week but fortunately her injury wasn’t overly serious, was muscular, so she’s hoping to be back in next week. We were upset about the Manly girls; we were in a neck in neck tussle with the Manly Open Women’s girls, the Malarki crew, to make the State Team. They had a nasty stack on the way in and a couple of girls were badly injured. They may be off the water for a while. For us, number one, it’s sad to see a really nice bunch of girls, and such a good sweep in Nathan, get injured like that, and, secondly, they’re certainly a very good surf boat crew. Hopefully they’ll be able to come back and finish the season. We only took three crews to Freshie, which is small for us, but all three crews made the Finals. The Open Women’s Pterodactyls won, the Under 23’s women rowed in the Opens and got third and then the same girls got 2nd in the under 23’s and then my boys, the Reserve Grade Projects, won their fourth carnival in a row. Any final words to your crews Boat Captain? Simply that I’m really proud of having my three teams in the States and in fact, I’m really proud of the whole boat section. Our boat section wouldn’t be what it is without the great Sweeps and support that we all give each other. We’ve got a great culture at Palm Beach and it’s something that I’m really proud to be a part of.